It was the sweetest and cutest thing I have seen in a long time. 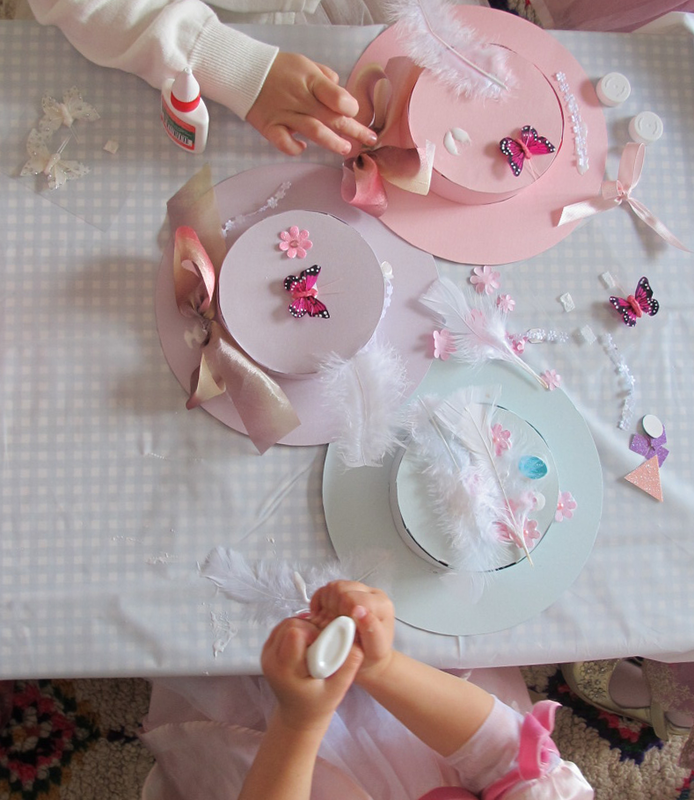 A bunch of little ladies sitting together crafting and making and talking and being oh-so-productive and lovely. In their best tulle dresses and their favourite hairstyles it must have been a kind of heaven for them. And that was the whole idea. 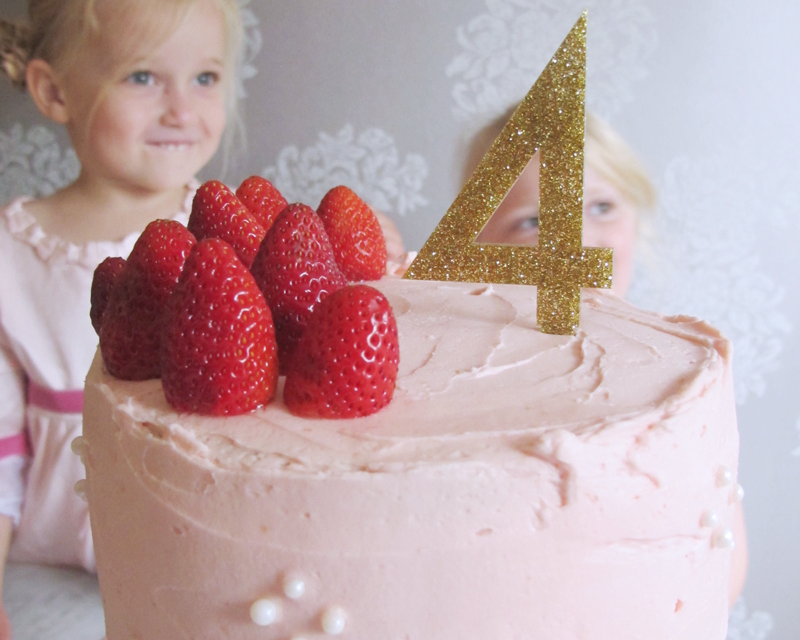 Miranda asked for a princess theme for her 4th birthday this year and we discussed it often and at length. She was thinking of a cake that was a princess and everything princess. "We can do better than that!" I told her, "We can have a party and cake just like a real princess would have!". When I saw a pouf of fairy floss that looked like a tall bouffant hair-do the idea hit me that we could take inspiration from Marie Antoinette (the early years!). 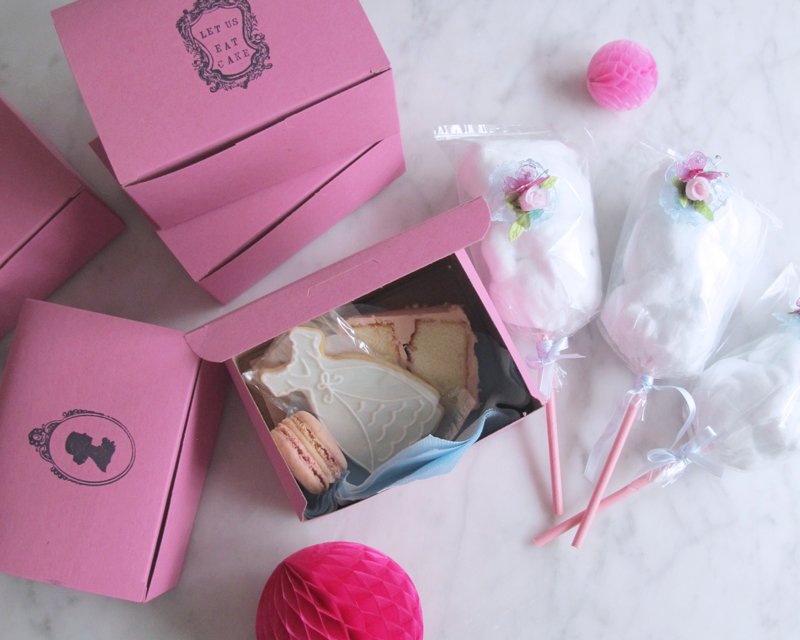 We made and sent out Let Us Eat Cake cupcake invitation boxes. 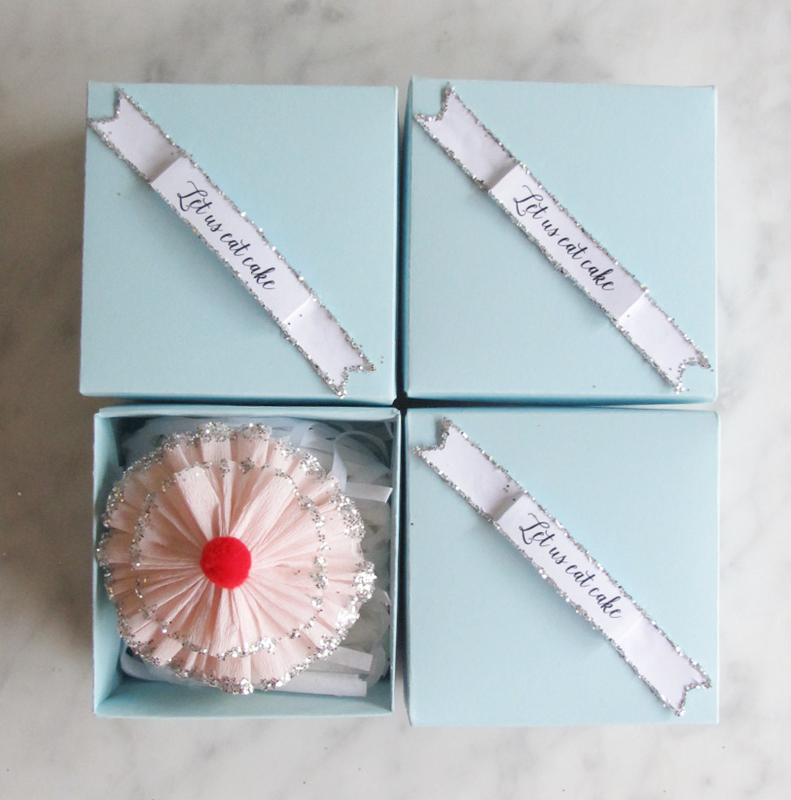 The invitation was hidden inside a crepe paper rosette cupcake which was then inside a powder blue box. 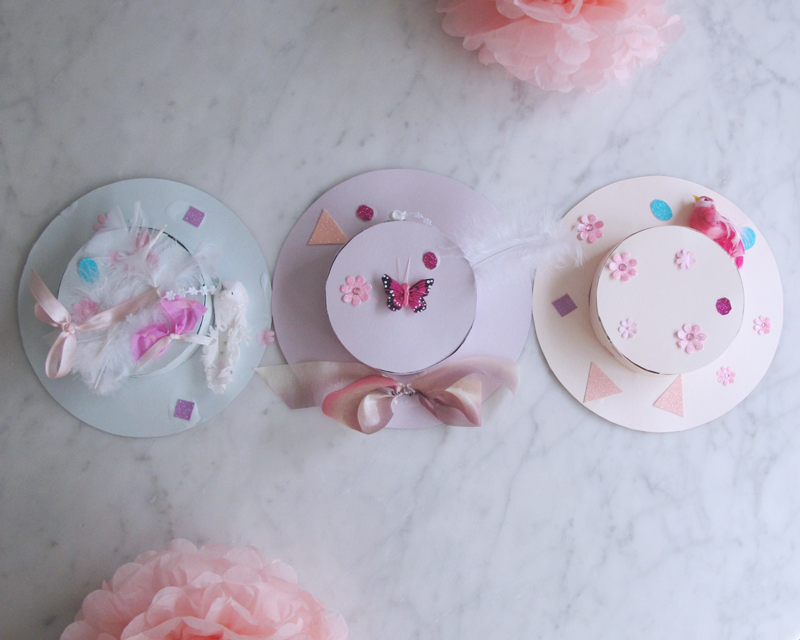 The tutorial and free template for making them is in my previous blog post. The Marie Antoinette theme translated really well. Miranda saw a Cinderella slipper cookie, I saw a 18th-century high heel cookie. I'd had ideas about what Miranda could wear and in the lead up to the party she had some interesting and changing ideas too. The day before the party she was certain she was going to dress as a mermaid. 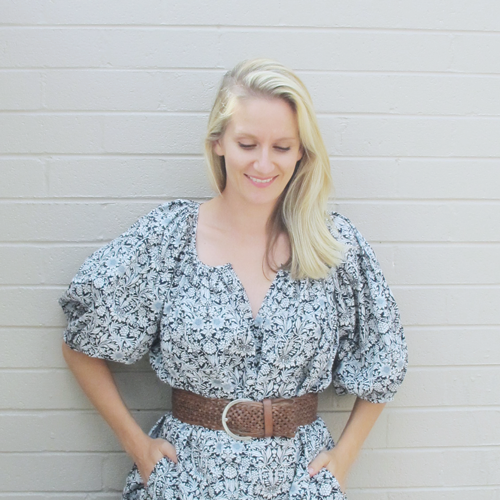 I had seen a divine dress by I Love Gorgeous but I left it too late to get it shipped from the UK. So the night before I created another Cinderella reference and customised an existing pink silk Fred Bare dress by adding an empire waist, white tulle frills and velvet ribbons. 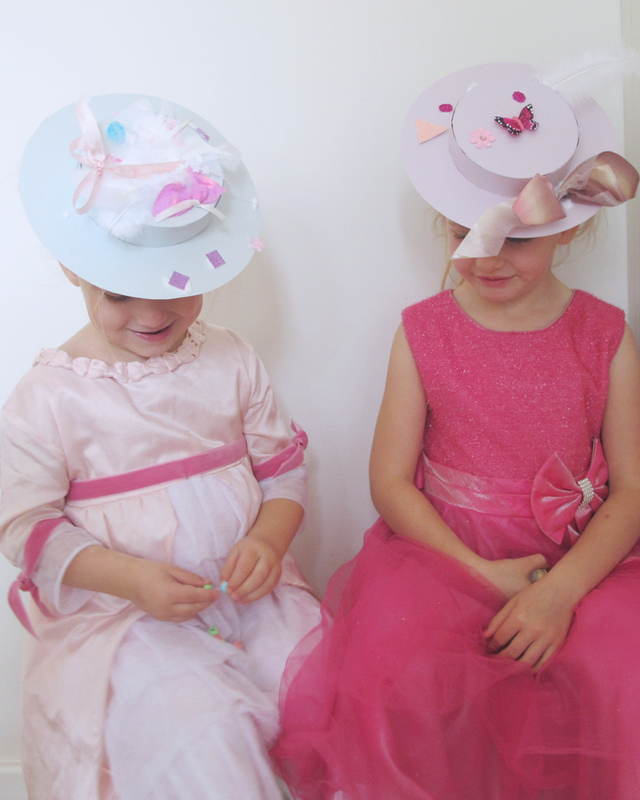 Upon arrival, the little guests sat down to adorn their own 18th century-style hats with ribbons, butterflies, birds and flowers. It enabled them to relax together before the sugar high. The hats dried during the party and looked so incredibly good on them as they left. 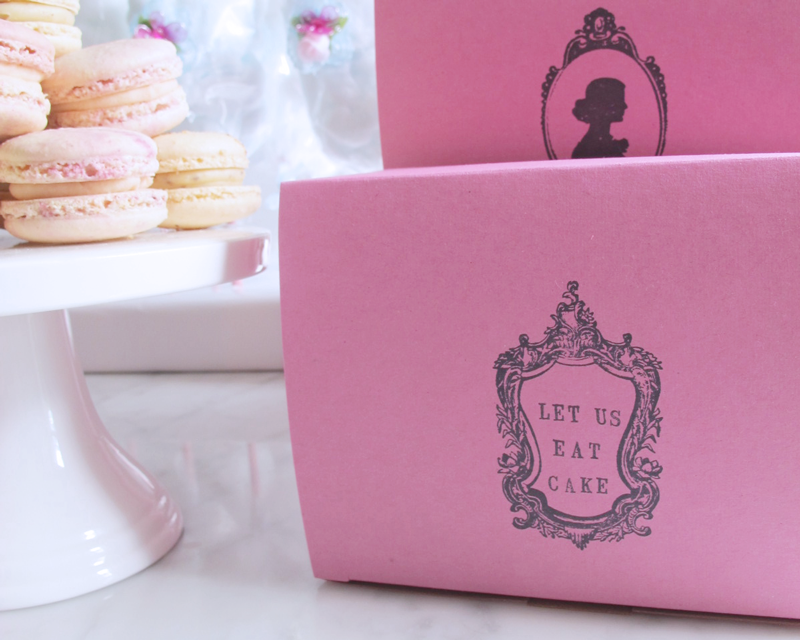 I found these perfect pink 'Let Us Eat Cake' bakery boxes on Etsy by The Glitter Shoppe. 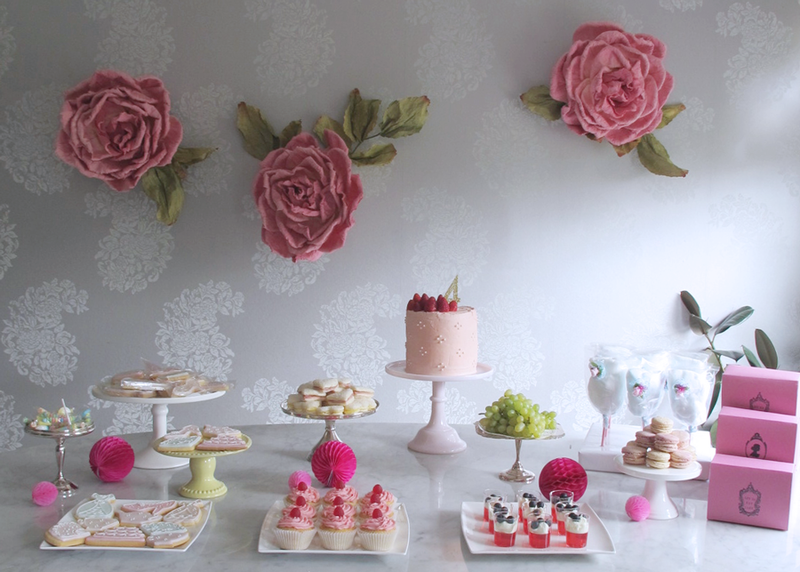 They were the just the right size to fit a cookie, a macaron, and a slice of cake for the kids to take home. Because in the end they were too full to eat cake - ironic right? I also found an Etsy shop called Under the Cotton Tree that specialises in custom fairy floss cones. I ordered powder blue fairy floss to look like little high wigs and they created little rose and butterfly adornments for them. Cute! 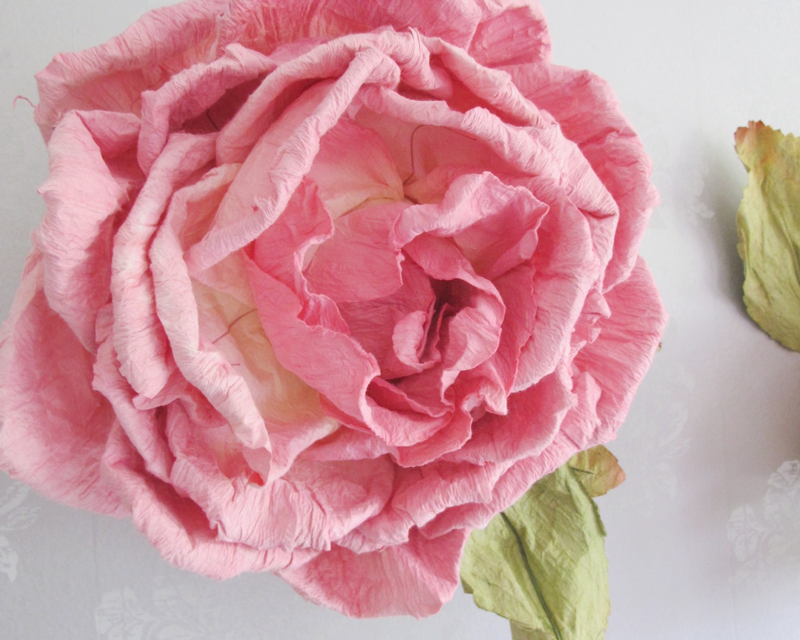 On the topic of volume I used giant paper flowers left over from my sister's wedding and honeycomb balls and fans from The Wrapping Queen to decorate the house. My only splurge was on cookies by Hello Naomi which were well worth it. They brought the theme together so well. They were the cutest and most delicious cookies I have eaten. 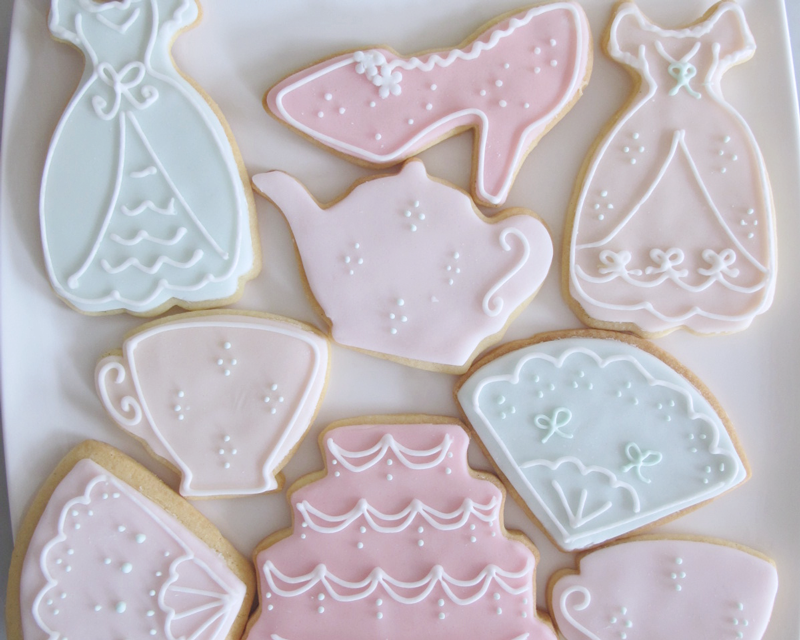 They were in the shapes of fans, dresses, high heel shoes, cakes, tea pots and tea cups. The kids used cookie cutters in the same shapes to make their own versions out of sparkle Play-Doh. This was a very popular activity. 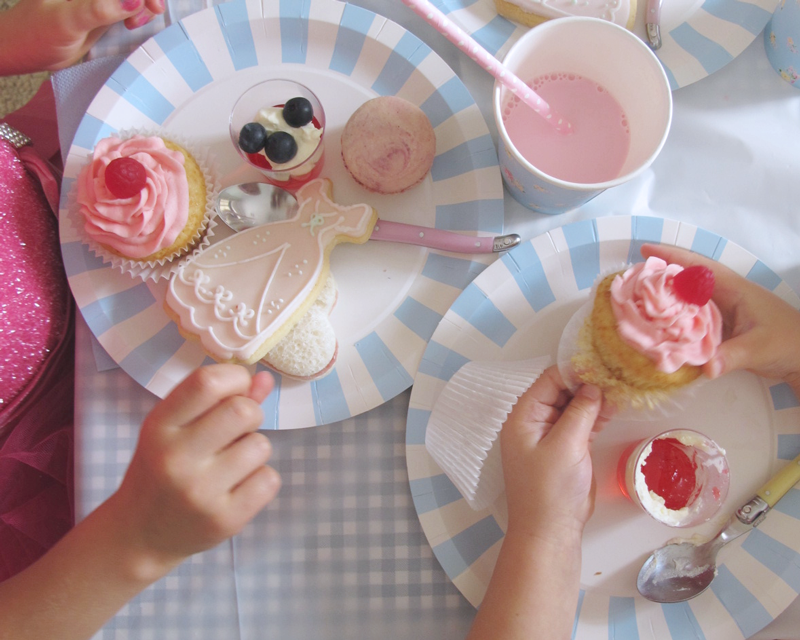 I hope you love the photos of our little Marie Antoinette princess party!